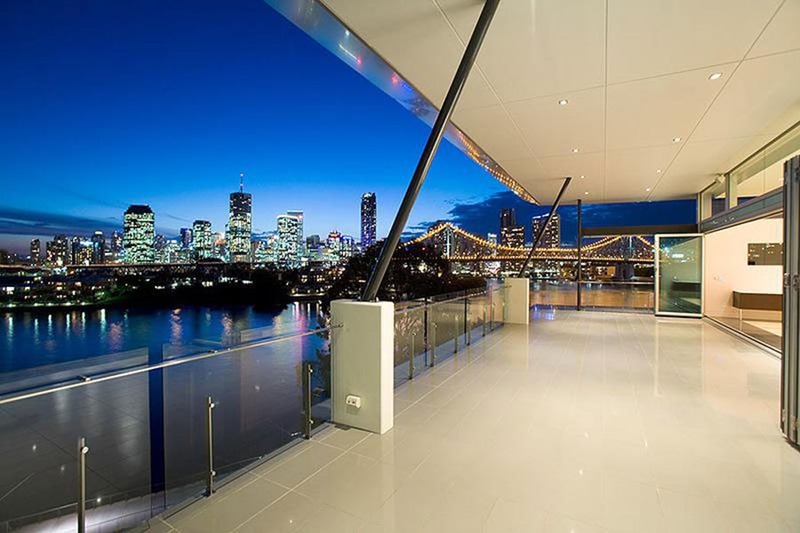 The X1-Series Core Fixed Balustrade with Flatbar Handrail system is designed to be core fixed into a concrete slab, whether it be a horizontal concrete slab, ramp or stair. areas subject to overcrowding with the C6750 core fix stanchion. 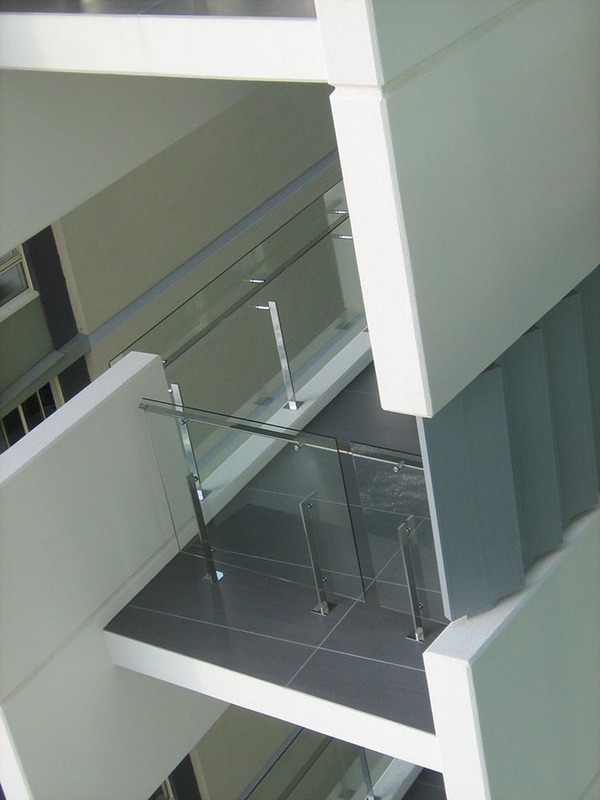 System: THUMP ARCHITECTURAL FITTINGS ‘X1 Series’ – with core drilled X1CP stanchions with GF50P handrail with toughened glass glazed infill panels. 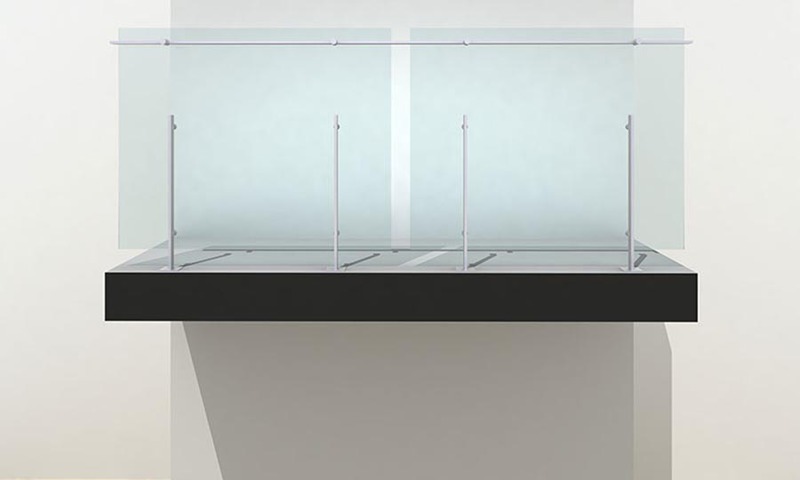 Handrail to be mounted to internal face of glass with glass mounted to internal face of stanchion. Supports: 2 No minimum stainless steel flat supports sized by manufacturers engineer to each glass panel and core drilled to concrete slabs and/or ramps.